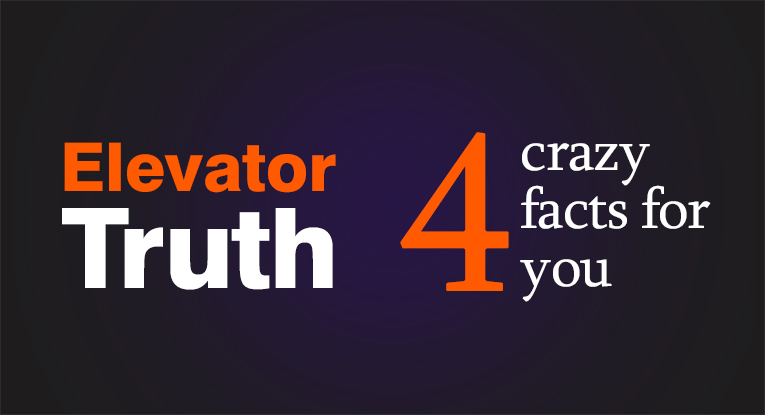 Elevators play a major role in our daily lives. The elevator is a vertical transport system that helps to moves people and things between floors. Elevators are powered by electric motors. Elevators are made for corporate and domestic purposes.Elevators play a major role in our daily lives. The elevator is a vertical transport system that helps to moves people and things between floors. Elevators are powered by electric motors. Elevators are made for corporate and domestic purposes. There are more variations in each type. Increasing number of high rise buildings in our country has spurred wide installation of elevators. Elevators play a significant role in the growing skyline of Indian cities. Elevators are most commonly seen in malls, commercial complexes, residential apartments and multi-storey buildings. Elevators are becoming an integral part of the construction industry. Increasing number of high rise buildings in our country has spurred wide installation of elevators. Elevators play a significant role in the growing skyline of Indian cities. Elevators are most commonly seen in malls, commercial complexes, residential apartments and multi-storey buildings. Elevators are becoming an integral part of the construction industry. The elevator has become the key mode to transport people to higher levels within buildings and is exceptionally useful for senior citizens who find it difficult to climb steps. 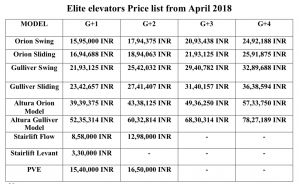 The elevator market in India opened up nearly a decade ago, but in the last few years the elevator industry has seen considerable growth. In India, the elevator segment has captured a large share in the overall elevators and escalators market. Urbanization in India has led to the increase in number of multiple storey residential buildings. Home elevator market is experiencing tremendous growth in Mumbai, Chennai, Bangalore, Kolkata, Ahmedabad and Delhi. High-rise buildings in major cities also need elevators with higher speeds and heavier load capacities to carry a large number of passengers safely and comfortably. Indian buildings and homes are witnessing the arrival of a new generation of elevators equipped with innovative technologies that offer energy efficiency, cost-effectiveness, and ‘smartness’. The ‘lifts’ of the past are now changing into ‘smart elevators’.Nowadays elevators that can run on solar energy are also used. This latest technology leads to considerable energy savings in comparison to the conventional elevators. Other types of energy-efficient elevators use LED lighting and sleep modes and regenerative-drive hardware. Advanced technology helps to manufacture energy-efficient elevators with advanced safety mechanism, comfort and improved aesthetics. Since, elevators have become an essential mode of movement inside a building, it is very crucial to ensure that elevators work efficiently. All elevators need to be connected to an outside 24 hour emergency service and automatic recall capability in a fire emergency.